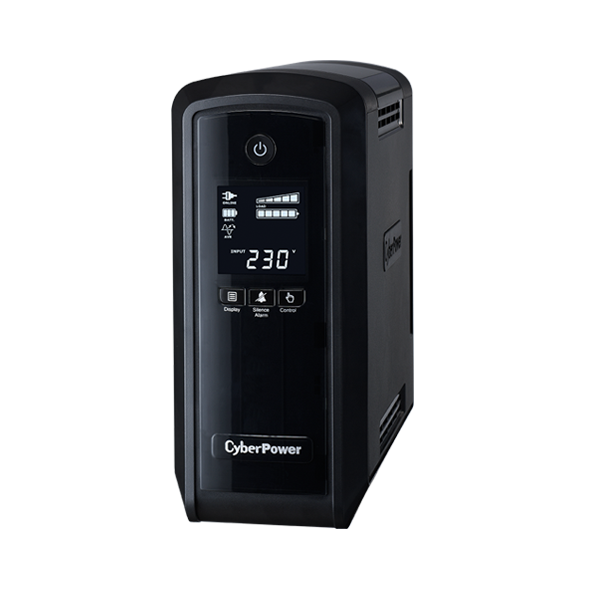 CyberPower CP900EPFCLCD with pure sine wave output safeguards mid- to high-end computer systems, servers and networking hardware that use conventional and Active Power Factor Correction (PFC) power supplies. Designed with GreenPower UPS™ Technology to improve operating efficiency and to minimize energy consumption, users can enjoy significant energy cost savings over conventional UPS systems. 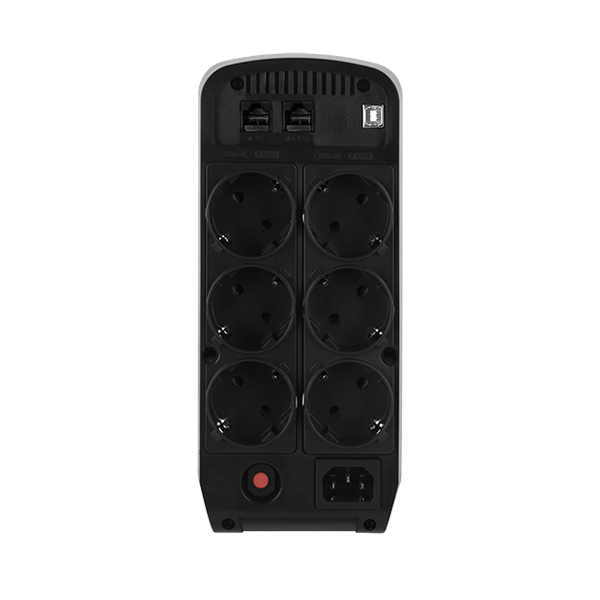 The UPS provides Automatic Voltage Regulation (AVR) to maintain safe voltage levels for connected equipment. 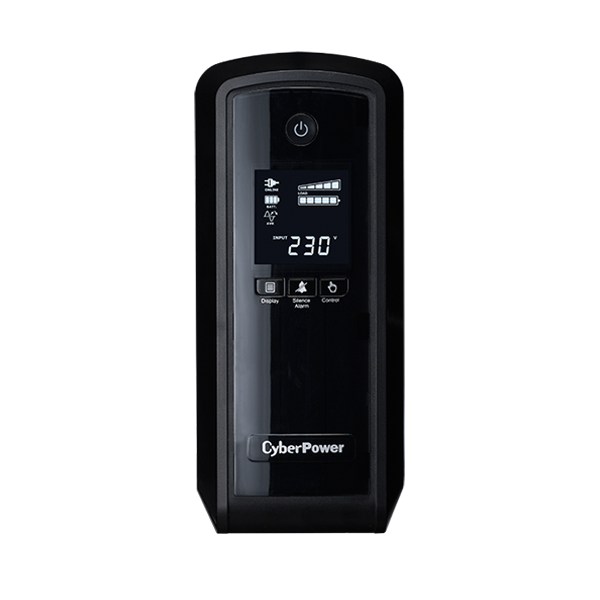 Featured data line protection guards phones, networks, and communication equipment against surge/spikes and other power irregularities. Users can access information of power/battery conditions and configure advanced settings, including alert of potential power problems and self-test with a single push of a button.